MacKay Creek Estuary in North Vancouver has been a site of historical industrial use and has been negatively impacted by extensive residential and commercial development. 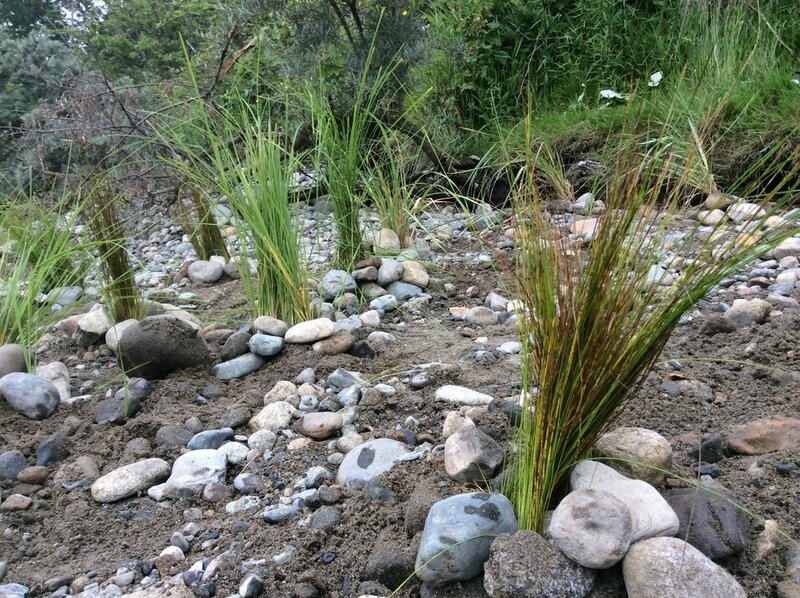 The goal of this project was to restore the riparian area surrounding MacKay Creek Estuary so that the habitat will support salmonid species and other estuarine and riparian wildlife. 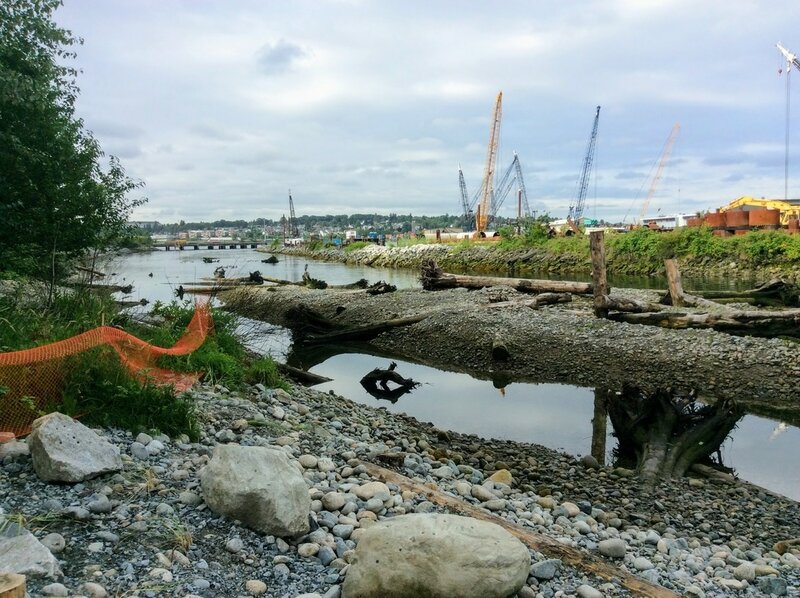 Restoration for the MacKay Estuary began in 2013 as part of the Burrard Inlet Estuary Restoration project with the BCIT River's Institute and will be continuing in upcoming years, as maintenance is needed to preserve the conservation efforts for this site. The restoration of Seymour Creek Estuary in North Vancouver is also part of the Burrard Inlet Estuary Restoration project that began in 2013. Echo Ecological worked alongside the BCIT River's Institute in the completion of this project. Several in-stream log structures were created in this creek to provide habitat for spawning salmonid species. Intertidal grasses were planted to increase nutrient cycling within the ecosystem and native plants were placed along the Seymour spit to create habitat in the riparian area, which will benefit both in-stream species as well as community members who utilize the site for recreation. This project was also part of the Burrard Inlet Estuary Restoration Project. It was executed in 2016 by the BCIT River's Institute and continued restoration will be completed on-site in upcoming years. Echo Ecological completed both the riparian restoration as well as the intertidal grass planting for this project. To supplement the restoration efforts completed on MacKay Creek Estuary, Echo Ecological has been working to restore the upstream areas of the Creek in recent years. In order to maintain the investment of money, time and resources that was put into completing the Estuary Restoration in this area, it is important to ensure that the health of the ecosystem is maintained. Continued maintenance is needed, as well as significant upstream restoration efforts to return MacKay to a healthy state.